Loved this witty addition to the world of sparkling wine, could make a very nice duo for all ‘new arrivals’ celebrations and of course evens up the Mother’s Day, Father’s Day deficit that had long been troubling sparkler loving fathers. As the seven pillars of the tallest bridge in the world loom into sight above the clouds, it is impossible not to be more than a little bit excited. Around me cars all imperceptibly speed up as they see the first glimpses of the Viaduct of Millau, as if the bridge is going to disappear before we all reach it. The Canary Warf skyscraper, can fit easily in the space under the bridge and the valley floor below. The sense of wonder, excitement and mystery that now courses through every person who approaches the bridge is the perfect compliment to its status as the 21st century gateway to the ancient and mysterious region that is France’s Languedoc. The viaduct cuts hours off the journey south to the Languedoc, but even more radically it leaves you high in the mountains, which is where we find the most radical and the first great breakthrough winery of the modern age, Mas Daumas Gassac, home of Aime Guibert, now in his 80s but who in the late 1960s became the lightening rod for an anti-globalist, diversity prioritising, sustainable movement in all things, but especially wine that has echoes in the global Occupy Wall Street movements of today. As you might imagine of a Woodstock era venture, the organic nature of the winery and its vineyards is not in doubt, but Guibert’s distaste for the traits of industrial capitalism went much further than that. This was an entirely new way of living and making wine within capitalism. 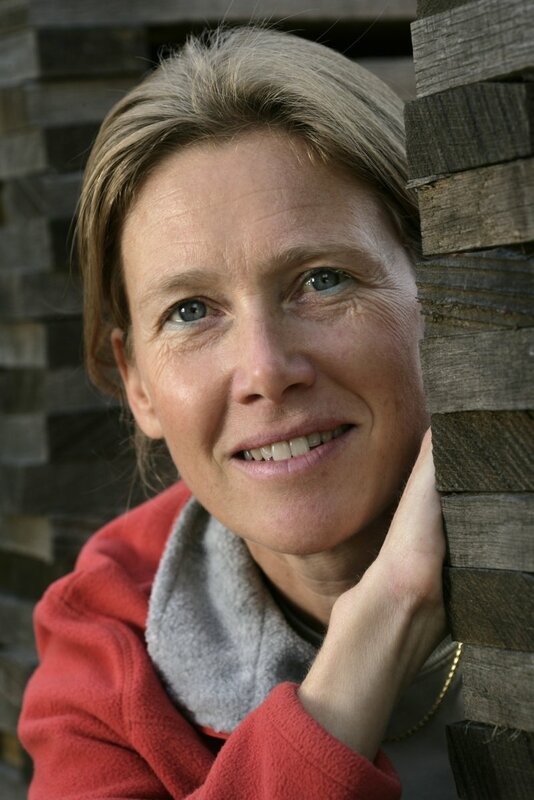 Aime Guibert’s wife Veronique was also an integral part of the Mas Daumas Gassac revolution and provided an intellectual and philosophical backbone to work on the winery that no other estate then or now enjoys. She was and is a leading academic, and ethnologist, interested in myths, language and culture. Her main publications have in fact been on Celtic Mythologies and Ireland is her main object of study. For this reason and for Aime Guibert’s belief in the unspoilt nature of the Ireland’s Atlantic Edge, the family had a house in Kerry, returning almost every summer. “This is why I have given my children Irish names and why this is a home from home, my summers growing up were here, in rural Ireland. The tin roofed pubs, the long walks to anywhere, the fresh, wholesome food and the long quiet evenings.” Says Samuel Guibert, Aime and Veronique’s eldest son, of summers in the 1970s and early 1980s growing up in Ireland. He managed it seems to blot out all memory of the rain, the single channel of television that began at ten to six and ended before midnight, and, brown, corduroy bell-bottoms. Famously, within a decade of planting the first vines at Mas Daumas Gassac, France’s bible of all things wine, Gault-Milau had been joined by Hugh Johnson in calling Mas Daumas Gassac, the ‘Lafite of the Languedoc’. Later the US critics lead by Robert Parker would crown Mas Dumas Gassac as perhaps the most important new Grand Cru wine in the world for a century. 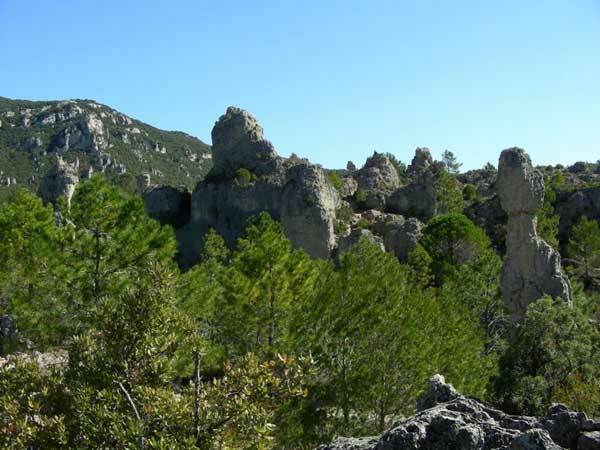 Something special was clearly going on high up in the remote mountains of the Languedoc. Every great mythic hero needs a mysterious ordeal leading to their triumph and Mas Daumas Gassac’s origin tale is equal to such a challenge. 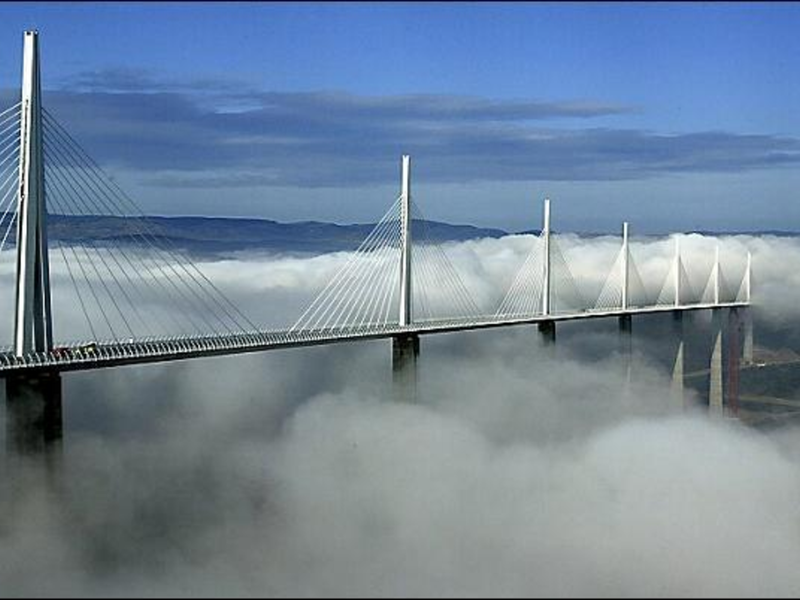 The new Millau Viaduct brings visitors directly into the deep, dense forested high mountains of the heart of the Languedoc. 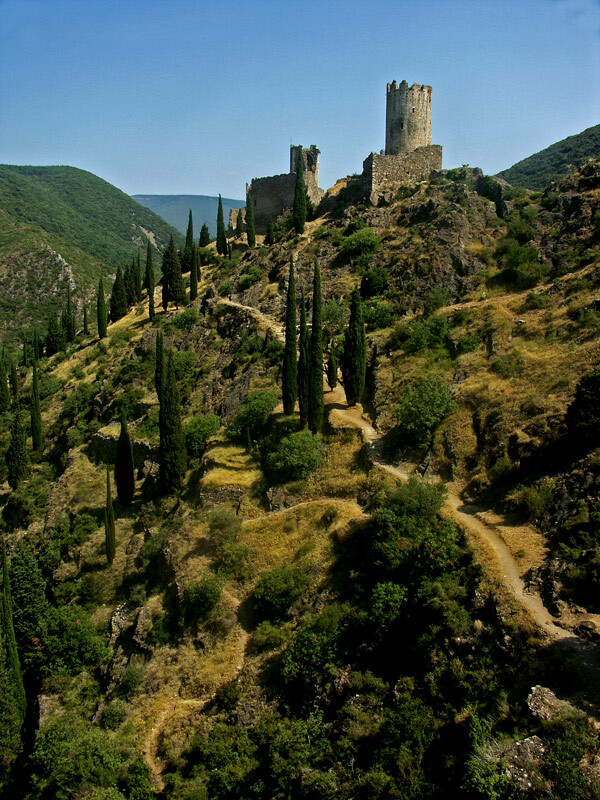 It is in these high remote mountains to the north and south of this great wine region that most of the best wine is made, and it was here for thousands of years that the great mysteries of the Languedoc were preserved from the DaVinci Code style cults hiding Jesus’s bloodline in the hills, to mysterious Cathar castles hiding some great heresy. It was remote and isolated so it preserved old ways and ancient rights long after the rest of the world had crushed or abandoned them. Endless trees blanket the hills in every direction, not tall oaks or redwoods as in California’s almost manicured forests, but dense, gorse, brush like trees with pitch dark interiors. This is what they call garrigue in the Languedoc. In amongst this dense, 15 to 20 foot undergrowth that marks the edges of the forest there are huge riches of plant life, lavender at ankle height, strawberry in bushes, berries are everywhere, mint is the only other thing I noted but if you knew you wild leaves, there is thyme and fennel, in fact a whole spice rack in every step. In the rest of the south of France I see the word garrigue being used for scrub land that is more obviously dry and scented. And easy to walk in. This was much rougher and less pungent. Aime Guibert de La Vaissière, to give him his full name was not a hippy looking to get back to the land. On the contrary he was a craftsman, a tanner and glove-maker from a line of business people. Guibert came from what be described as a traditional market capitalist background, the making and selling of things. His purchase and development of the Lafite of the Languedoc was really the result of a series of happy accidents. “My father was looking for a remote house, a place to retreat to. So my parents looked in many places in the region, they were from Millau and eventually fell in love with what was almost a ruin, an ancient farmhouse complex.” Says Samuel Guibert. A Mas, is the name for a semi-fortified farmhouse that was typical of the whole of southern France in the era before police forces. It would have acted as a sort of storehouse for the cereals and crops for the farm and its neighbours and a place of refuge from bandits and marauding gangs. The name Mas Daumas Gassac, means, the Mas of the Daumas family in the valley of Gassac. In fact Guibert bought the Mas from descendents of the Daumas family. The forest had encroached right up to the Mas, concealing the 50 hectares of lands and of course preserving them from the industrialisation of agriculture that occurred in the 1950s in Europe. “Everyone told my father to cut back the forest, to create a clearing to farm in, it was not clear whether they would plant maize or melons or olives at the time. Olives were the big obvious choice I think. Vines were not in the front at all” says Guibert. “Fortunately a friend of the family was a great academic, a geology professor, Professor Henri Enjalbert. He was in fact professor of geology in Bordeaux, so obviously as you might imagine, soils, were his speciality.” Says Guibert. “After a day or two with my parents, Professor Enjalbert was very excited, he said you have to plant vines, he had never seen anything like this anywhere in the Languedoc, the valley of Gassac was a bubble of well drained, hummus poor, mineral rich soil that was nearly identical to the soils of the Cote D’Or in Burgundy.” Says Guibert. “It did not end there a visit by Professor Emile Peynaud, the great Bordeaux oenologist confirmed the unique character of the valley.” Says Guibert. 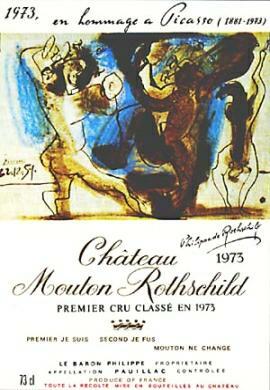 This was 1973 and at that time the Languedoc was the source for the majority of Europe’s Vin de Table. “Even that is not the whole story, it was the good stuff that got into the Vin de Table and was bottled, most of the wine was in bags and plastic.” Says Guibert. The idea that somewhere in the Languedoc, even high in the hills there was an undiscovered potential for a Grand Cru wine was laughable to most people and particularly wine buyers and wine shops. Soil alone was not the key to the eventual triumph of Mas Daumas Gassac, climate and the decisions about style were equally important to its success. The Guibert’s refused to cut down the forest, this was the magic of the place, so they made tiny clearances and planted vines amongst the forest in what can only be described as groves. When you arrive at Mas Daumas Gassac you cannot see vineyards, you have to travel into the trees to find the plots scattered around the very privileged site. It means harvesting is done by hand, as is almost every other activity, you simply cannot get machinery into this landscape with much usefulness at all. With the trees comes shade, but it is the valleys position as a trough for cold air from higher hidden valleys every evening that is its secret. Coupled with cool mountain water in aquifers beneath them this provides the diurnal swing in temperature that is required to make many great wines. That is a swing from heat to actual cold each day during the summer. “The vines that we picked were also important. We did not want clones, this was part of the move towards the reasoned agriculture my father was searching for. We found old vines, unique individuals. In the end we moved towards Cabernet Sauvignon, which makes up the majority of the planting but more than 20 varieties are planted and all of them end up in the wine, It is very interesting.” Says Guibert. Today Mas Daumas Gassac is operating as a sort of Ark for many rare vines and varietals. Aime Guibert’s life’s work became the creation of an authentic, sustainable, anti-industrial agriculture. The vehicle through which this was accomplished was the wine of Mas Daumas Gassac, where he showed that organic, traditional, thoughtful and sustainable low impact agricultural practices could not only make one of the best wines in the world, it could do so elegantly and rewardingly. 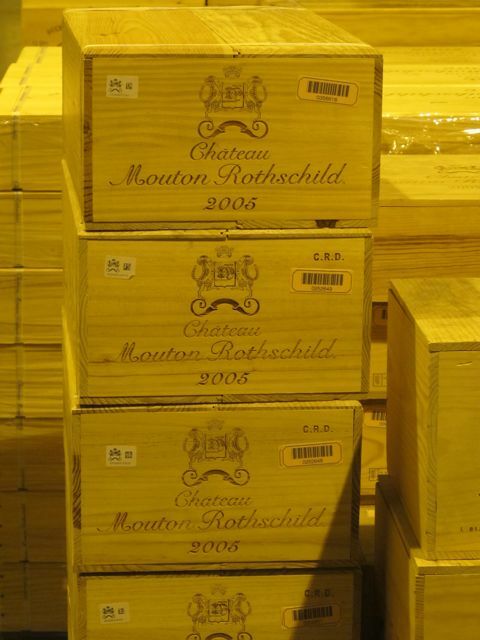 His wines became highly sought after and eventually the importers and wine merchants who told him they did not need his wine and he was foolish came knocking on his door. However in 2004 the octogenarian Guibert broke through into world celebrity status with what at the time seemed like a very radical and minority stance. He, a capitalist of the merchant kind, foresaw a disaster ahead in the concept of global corporate capitalism, which he saw all around him. He argued convincingly, but alone, that corporate capitalism was a hollowing out philosophy which sought to impose a sort of global feudalism on the world by getting nations to compete with each other to race to the bottom in wages, standards and diversity. He suggested it was aimed at producing a homogenous global consumer, for a homogenous global product. For him, local, individual, national and regional diversity was the key to a fruitful life as it is to bountiful nature and great wine. He urged resistance to globalisation in all its forms, from a deep seated belief in the value of diversity, complexity and regionality. The wines of Mas Daumas Gassac reflect this unconventional, individualist philosophy. They are wild, offbeat, exuberant and joyous. Unlike standardised wines they evolve in unique ways, Pinot Noir like and wirey in youth, rich and luscious emphasising cabernet and Syrah in middle age, complex and persistent like a fine Bordeaux with age. A set of wines for the open minded explorer seeking treasures off the beaten path. 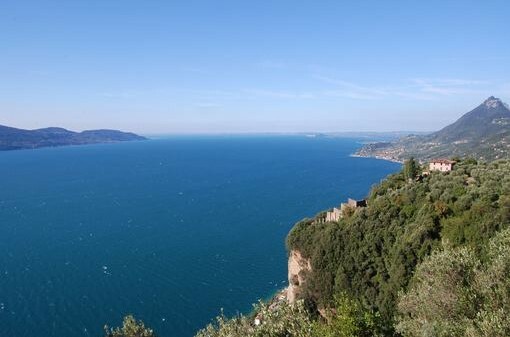 Driving from the Mont Blanc Tunnel to Venice is not just one of the great car journeys of the world, it is also a revelation about the gross nonsense being talked about Italy as an economic sick man of Europe. Travelling through and to the wine regions of Europe by car and train I get to see, close up and in detail the state of an economy in reality rather than from very partial statistics and analysis clearly being driven by market forces with a simplistic goal of continuing to make supernormal profits. In Spain, we find a ruined countryside blighted at every off ramp by another half built hotel, incomplete shopping mall or worse finished giant industrial sheds and beautifully and expensively tarmaced roads, all empty, unsold and never likely to be sold. The Spanish roads are eerily free-flowing and empty these days. In the North East of Italy in what used to be called the Po Valley, the traffic is horrendous along the entire route from Turin to Venice, bustling evidence of vibrant economic activity. The Po Valley is a vast stretch of land running roughly from Milan to Venice along what is a natural pyramidal basin with Milan as the point and the Venetian coastline as the base of the pyramid. Hour after hour is spent travelling in convoys which create canyons of huge trucks, all Italian, filled with the produce of this region, one of the world’s greatest industrial powerhouses. Truck after truck of stainless steel kitchen appliances, electronics, clothes, aerospace parts, triple-decker car transporters, wine and food of every description, but mainly of the holy grail of Irish government policy, high value finished consumer goods, that’s pasta, soups and pre-made meals to you and I. Over every crest of a hill along the entire route are engineering works, marble and stone yards and above all petro-chemical plants transforming the bounty of the Alpine flow of minerals into the base materials of modern capitalism. 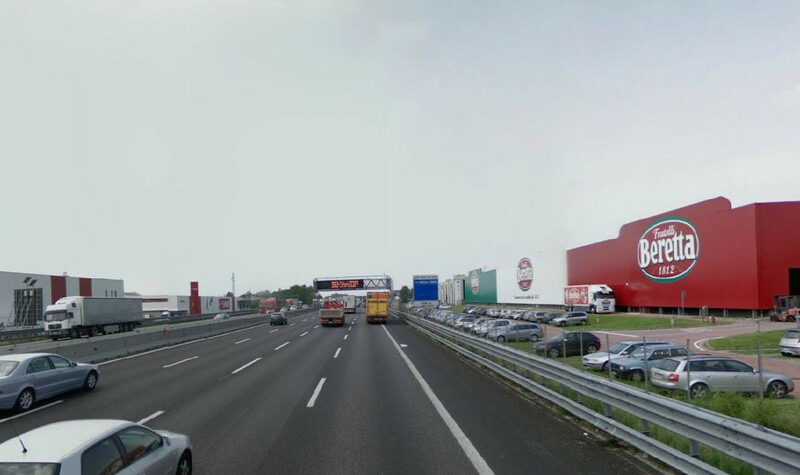 The entire route from Milan onwards is essentially an unbroken industrial conurbation. Until of course you leave the motorway and head up into the glorious lakes and valleys which run at right angles to the Po and the motorway. Quickly the picture book Italy that has lured George Clooney, Anakin Skywalker and the wealthy of Europe for 2500 years looms up into sight. The Romans came here to build Villas and plant vineyards that still make Tuscany look like the summer holiday theme park that it has become. Arguably the greatest architect of the Renaissance, Andrea Palladio, is of course from this North-Esatern region and all of his astonishing and influential villas were cited in and around the North East, Italy’s industrial and technological heartland. While the rest of the wine world, apart from North Eastern Italy and a few Australian behemoths, seems to be obsessed with foregrounding the entirely natural, non interventionist and rustic nature of their wine making. In the Veneto, in the main wines of the Italy’s financial and industrial heartland, things are quite different. They revel in the complexity of man’s genius and technological skill at the heart of the winemaking process. Although the physical landscape that the great vineyards of Soave, Valdobbiadene – home of Prosecco and Valpolicella sit in are entirely and beautifully rural, indeed classically so, the mind-set of the technological and enterprising genius of the ‘North East’. Wine making has been in action in the Veneto since the Roman Empire and before, possibly because Venice and Ravenna have always been important Adriatic trading ports, Greek, resinated wines are noted in the Veneto and a peculiar strong sweet wine called Reticum is praised by a line of poets including Virgil. Great emphasis is placed on Reticum by many modern wineries in the Veneto. They all suggest that it was a wine made from dried or semi dried grapes, and therefore the ancestor to modern Amarone, the icon wine of the Veneto. Wines in the past were made and consumed in very large quantities around harvest time. Storage and transportation in clay amphora was common, but some where along the line, an enterprising vineyard owner must have decided not to ferment all his crop but to put some into the attic space of his villa to dry out. Drying to preserve grapes to ferment them, to order, so to speak must have seemed like a possibility. When the rehyrdated grapes were then fermented it left unfermented sugars giving the wine a sweetness that was obviously liked. Today in the Veneto, this artificial drying process is called Appassimento. Appassimento is the process whereby grapes are picked and sorted onto large trays, rather like old fashioned wooden bakers trays. These trays have a low lip, about two inches high and have a base made out of bamboo. The reason for the bamboo is that it allows for air to circulate and any moisture to evaporate or fall away through the slats. If it were a solid base the grapes would wilt, a stew of grape juice would form in the shallow tray and a fermentation would begin. This drying out process can take weeks. In the past it was a very climate affected event, with some buildings and some townlands fairing better than others. Good breezes and some cool evenings were ideal, so valleys close to lakes like Lake Garda did especially well with their late evening Alpine chill. Once the grapes were dry, very long, worrying fermentations were the order of the day. The reason for the difficulty is that in the days before temperature control the fermentation of dried grapes took place in cold cellars, where the yeasts did not work easily or at all until the spring. The resulting sweet wine in the Veneto was called Recotio. In 1797, the City State of Venice and its thousand year history was ended by Napoleon, who successfully invaded and conquered the whole of the Po valley region. Oddly enough unifying it for one of the first times since the fall of Rome. 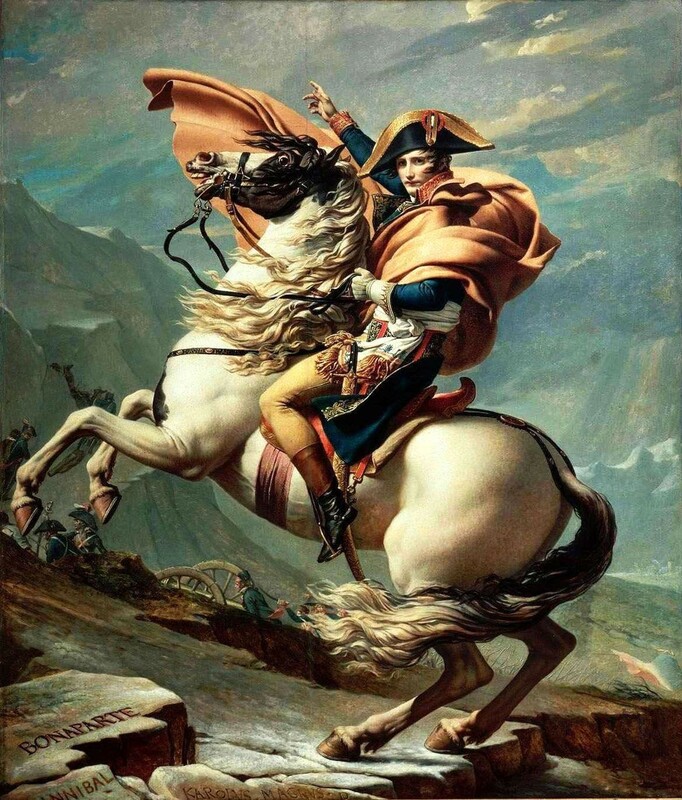 The French influence was not long but it left a mark on the wines of the region both stylistically and in fostering connections with French wine regions. 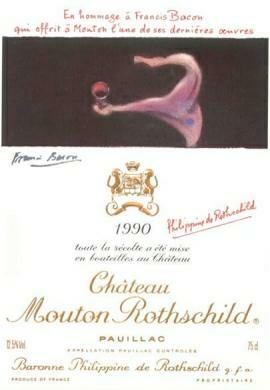 Many winemakers and business people were inclined to France and their dry wines began to have an influence. 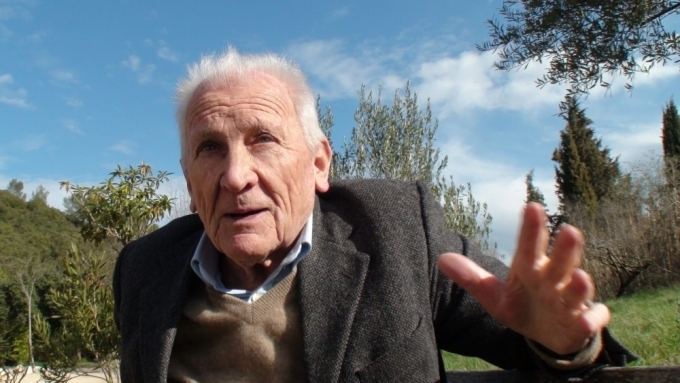 A young Veneto winemaker called Gaetano Bertani went to France and studied under Professor Jules Guyot, the scientist responsible for how modern grapevines are spaced, trained and tended. Above all a man who wanted to apply modern scientific rigour to wine making. Bertani retuned to a untied Italy and with his brother founded a winery, still in family control today which helped shift winemaking in the Veneto away from a rustic craft into a modern, adventurous, experimental endeavour. The most important name in the Veneto wine business is however probably Masi Agricola, this is the name of the Boscaini family’s Veneto Winery. 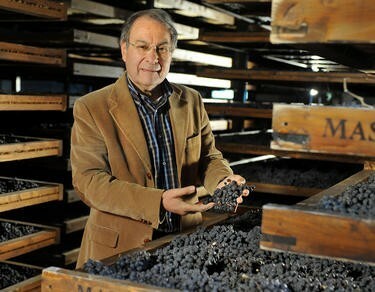 The Boscaini family have been making wine since the 17th century, but founded the Masi Winery in 1772. Today they are credited with popularising Amarone on a worldwide basis, but in truth they were one of a dozen family owned wineries that all played their part in the 1950s and 1960s. Up until then Valpolicella was known more for the sweet Recioto della Valpolicella as the red sweet wine was called. Gradually from the 19th century onwards, a dry wine, perhaps initially a mistake became a feature of the Veneto landscape. This was a version of Recioto where the fermentation had run on to completion, converting all the sugar into alcohol. It was a bitter wine, Amarone, means bitter. So it was sometimes called Amraone of Recioto della Valpolicella. It is not until 1968 that we have a agreed name of Amarone to mean the dry wine and this was not put into legislation until 1991. In 1964, the spirit of experiment and technological embrace was at its height. A reconsideration and examination of Apassimento lead to Masi launching the first Ripasso Wine, Campofiorin onto the world in 1964. This is a wine that uses the dried grapes destined for Amarone to reignite a second fermentation in ordinarily produced still wine. It is, using an analogy that is reasonably justifiable, rather like squeezing a partially used teabag in an already made cup of tea to add a bit of oomph. It was a huge success, it created a market for a sort of Amarone-lite that all the other producers in the region quickly adopted each with their own name and each claiming to have been doing something of the sort, already. The Ripasso wines of Masi, Bertani, Tommassi, Guerrieri Rizzardi, Sartori, Serego Alighieri and Zenato and many others are arguably the best value and most consistent red wines in Italy. “We set up the Masi Technical Group to continue to explore and experiment, to continue looking for better ways of working. That does not mean novelty for its own sake and it does not means adopting constantly new things. At Masi we have not jumped to plant all of the new varietals that the laws now allow us.” Says Sandro Boscaini, current head of Masi. “It has meant refining our existing techniques, bringing the best of what we can do today into the winemaking. So for example we can now regulate the Appassimento to obtain the optimal state for the grapes. We cal it, and I quite like it, NASA. Natural Appassimento Super Assisted. We are not afraid of this, we want to make great wines, that is the goal.” Says Boscaini. To this end, Boscaini and Masi have not stood still with their Campofiorin Ripasso technique and have tweaked it into what they call a Double Fermentation process. In effect the whole dried grapes element is now not an adjunct using dried grapes from the Amarone process, but high quality grapes dried and used once for the production of a second fermentation in Campofiorin. Drying rooms rather than attics, selected yeasts, temperature control, computerised monitoring and every other modern technique that Masi and the majority of the other Amarone makers can use, they do use. No wine makes itself, but Amarone, Ripasso and other double fermented blended wines of the Veneto make a virtue of foregrounding the impact of men and women, the winemakers and the vineyard workers as an equal, if not just more important part of the Terroir than most other regions are comfortable to admit. Tasting Amarone, Soave, Ripasso and Prosecco wines is tasting the genius and hope of Italy’s most industrious region. “Cooley is one of only three sources for Irish whiskey, and the only independent player, so this transaction is a unique and compelling high-return opportunity to enter one of the industry’s highest growth categories,” said Matt Shattock, president and chief executive officer of Beam. Its a classic , a key element in its value and unique high-return opportunity is that Cooley is ‘the only independent player’ a value and asset that disappears immediately it is acquired by a multinational corporation. No matter how, benevolent a stewardship of the ownership, on purchase by a Beam Inc owners of Jim Beam® Bourbon, Maker’s Mark® Bourbon, Sauza® Tequila, Canadian Club® Whisky, Courvoisier® Cognac, Teacher’s® Scotch Whisky, Laphroaig® Scotch Whisky, Cruzan® Rum, Hornitos ™ Tequila, Knob Creek® Bourbon, EFFEN® Vodka, Pucker™ Flavored Vodka, Larios® Gin, Whisky DYC®, DeKuyper® Cordials, and Skinnygirl® Cocktails, it ceases to be an independent player, it joins Pernod Ricard/IDL and Diageo as a non-independent player. The purchase is set up in the form of a tender for shares ‘outstanding stock’ the offer is $8.25 a share, giving a total value of around $95 million for the business. 75% of the shareholders have already signed up, identities not revealed. To go through as the parties themselves have indicated, within the next four months. And that will be that ! said Matt Shattock, president and chief executive officer of Beam. The twisted story of the Malbec grape is intertwined with the reputation of one of history’s most powerful women, Eleanor of Aquitaine, the only woman in history to have been both Queen of France and Queen of England. Malbec was, during Eleanor’s reign in the 12th century, the centrepiece wine of South West France. It was at the heart of wines from the three main wine growing regions in those days, Cahors, the Pyrenees region which today we would understand as the region centred on AC Madiran and largest of all, Bordeaux, which then meant the lands we today call the right bank, St.Emilion, Bergerac, Cotes De Bourg, Fronsac and the Entre de Mers. What is thought of today, as Bordeaux, including famous wine regions like Margaux, St.Estephe, Pauillac or St.Julien, home to illustrious names like Chateau Lafite, Chateau Latour and Chateau Leoville Barton, was unknown in the medieval period. In fact, Bordeaux as wine lovers know it today was only created towards the end of the 17th century. This was because the Medoc, the land to the north of the city of Bordeaux, was essentially a swamp, a vast watery delta at the mouth of the immense River Gironde. The Medoc only became the source of great wines and beautiful chateaux after Dutch engineers were paid to come and build polders and drain it. Eleanor was Duchess of Aquitaine, and her lands ran from the Loire to the present Bordeaux with Spain at Biarritz. She ruled almost a third of what is today France. She inherited her vast fiefdom at the age of 15 on the death of her father. He had taken the unusual step of making Eleanor, his daughter his heir rather than other male relatives. Eleanor was well known to be an independent young woman, and a champion of the hardy rustic wines of Cahors, her heartland. The wines of Cahors were valued at this time because they were very dense, hard-wearing wines that kept well and grew in abundance. This contrasted with the rather more refined wines of the Loire and Burgundy favoured by the French court. Malbec wines were about to make their first leap into fame and fortune, because Eleanor, aged 15 was about to marry the King of France’s son. Eleanor married Louis, and within a month Louis father died, making Louis, King and Eleanor Queen of France. The wines of Aquitaine became the de facto royal wines and Eleanor, a shrewd and astute politician championed their success across France. A very important factor here was that Eleanor uniquely kept Aquitaine in her own name, it would only become part of France in the hands of her male heir. She never had a son with Louis VII. It is from this time that tales about the miraculous nature of the Black Wines of Cahors start to circulate in earnest. The Malbec driven wines of Aquitaine became hugely fashionable. Even better times were ahead. At the age of 30 after 15 years of tempestuous marriage to King Louis VII, Eleanor divorced him, gave up the crown of France and returned to Bordeaux. Four weeks later, she married, Henry, Count of Anjou, better known to us today as Henry II of England. 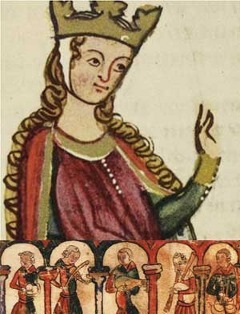 Eleanor subsequently became Queen of England and this delivered Aquitaine, the modern Bordeaux region and the South West of France, to English control establishing Bordeaux wines as the core of English and Irish wine drinking. Under her sons, Richard ‘The Lionheart’ and ‘good’ King John, Bordeaux and Cahors wines continued to flourish. Today we have become increasingly used to what we call single varietal wines, a bottle of wine labelled for example Chardonnay or Cabernet Sauvignon. 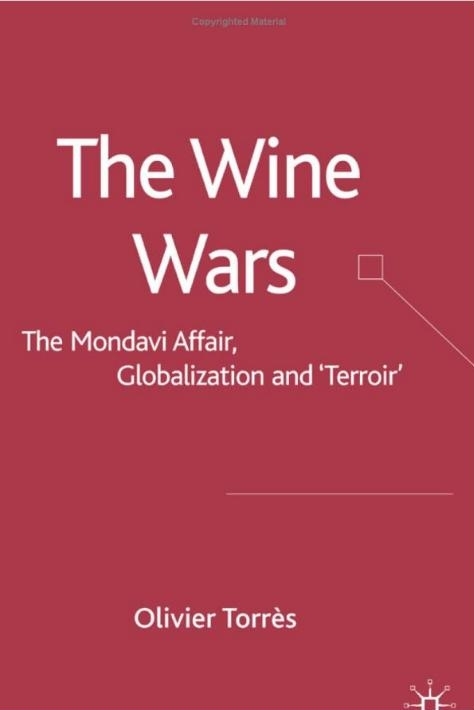 In even the recent past this kind of monoculture was considered very dangerous and really only practiced in regions with very highly priced wines where it was worth the risk, like Burgundy. The problem was that if you have one variety of grape everything falls or succeeds on the weather or the health of that one type of grape. To guard against this, many different varieties were planted. If the weather was unkind and the Cabernet Sauvignon did not ripen enough, then Merlot with its reputation for softness and fruitiness on a little less sun, or later ripening could save the vintage. If after the grapes were harvested it turned out that the Cabernet Franc, Cabernet Sauvignon and Merlot had light small crops, the entire harvest could be saved by the very hardy, big boned tannic and huge cropping grape the Cahors and Bordeaux winemakers called Auxerrois, Malbec or Cot. Eventually Malbec became known as the great saviour of Aquitaine. It always produced a big crop, it was not very fragile and it added heft and firm tannins to any red wine. Malbec did have a weakness however, it needed dry weather above all, warm was merely a bonus, so it worked well in the Loire with long dry, reasonably warm rather than hot summers. It also worked brilliantly well inland in Aquitaine, in places such as Cahors, situated around 200km in from the Atlantic and enjoying a continental climate, rather than in the cooler and wetter Medoc at 40km from the Atlantic or St.Emilion, some 75km in land. Phylloxera, the vine louse disease that wiped out Europe’s vineyards in the 1880s was the final undoing of Malbec. Malbec was by the 19th century regarded as a bit of an ugly brute in France. Railway transportation and steam boats meant that the value of hard-wearing, blocky, hugely tannic wines that could survive long perilous journeys was less highly prized. It was great to swell out a poor or underweight vintage, but on its own it was rough, tannic and often quite brambly or stalky. Increasingly with the drive towards fine wine, rather than bulk crops Malbec was replaced by the more noble Cabernet Franc or Merlot as the bulking agent in many blended red wines. 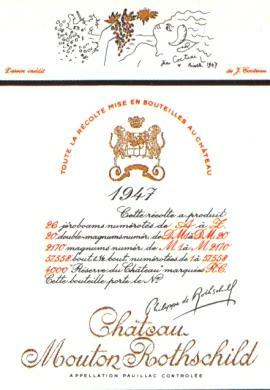 Then in 1956, rot killed vast swathes of Malbec in Bordeaux and across France. Most vineyards and chateaux took the opportunity to rip up this increasingly, old fashioned and unloved grape. This rejection of Malbec did not extend to South Western France, where in Cahors and in Madiran, they replanted Malbec in huge acreages. 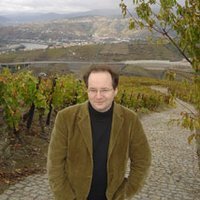 Michel Rolland, the world’s most famous consultant winemaker, part owner of brilliant Argentine Malbec winery Clos de La Siete, and consultant at Cahors winery Chateau Lagrazette believes that Cahors vignerons replanted simply because of its easy big cropping nature. Co-Operative wineries, which dominated the south of France mainly pay by weight not quality for grapes from each member, so a large crop, not a quality crop, was traditionally the key to a good living. Today most of the finest Co-Ops like those in Chablis and Tain Hermitage in the Rhone, highly value quality over quantity and pay accordingly, which of course has produced much better wines, albeit in lower volumes. Cahors growers had little time for such niceties and this sent Cahors reputation spiralling downwards during the 1960s and 1970s, just at a time when the town finally received Appellation Controlee status. Cahor’s poor reputation seemed sealed when the AC rules for Cahors stated that they must use a minimum of 70% Malbec in every wine. Dark, tannic, headache inducing wines that needed hours of decanting and only reached drinkability after a decade, became a prominent image for AC Cahors wines. They were the epitome of glugable, rustic wines. 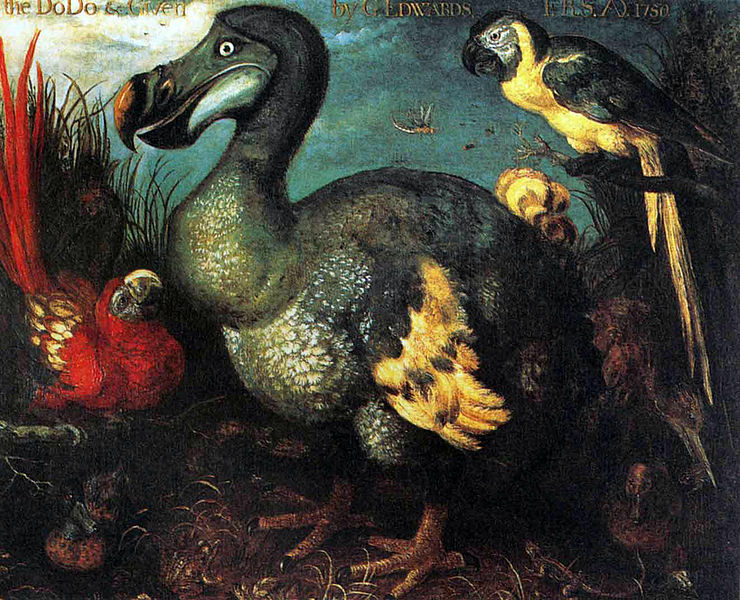 The image of Malbec created by poor Cahors wines was hugely unjust. The idea of Cahors wines being ‘black wines’ long predated the dark, tannic headache bombs of the 20th century and actually referred to the ancient practice of picking grapes at night that was fairly widespread in the South of France. This practice was believed to make fresher wines, long lived wines. So, Black Wine was used as a positive description dating back almost to Eleanor of Aquitaine, rather than the byword for pain it became. The best wines in Cahors, all during this time continued to be highly regarded as a secret, hidden delight for those in the know. 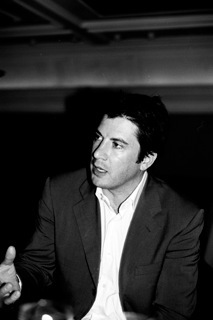 Wineries like Chateau De Cedre, Clos Triguedina and Chateau Lagrezette owned and lavished upon by the Alain Dominique Perrin, head of luxury Richemont Group owners of Cartier, Mont Blanc and Piaget. Despite this Malbec plantings in France went into near terminal decline outside of Cahors and the south west. Salvation, however was waiting in the wings, in an very unlikely location. In the middle of the 19th century as Argentina was finding completing its struggle for independence, the possibility of a wine industry became apparent to many agricultural scientists and businessmen alike. Happily French oenologist Miguel Pouget brought over a potential sure thing with Auxerrois or Malbec. Here was a grape that produced huge crops without too much fuss in warm, but above all dry climates. Hot and dry is the essence of the Argentine climate in the main vine growing regions, irrigation, not drainage is the problem in Argentina. Unfortunately in many cases, quality lost out to quantity. 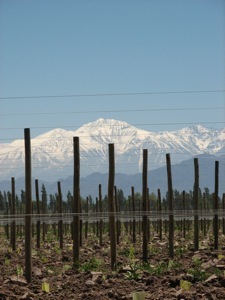 Argentinean wines became known for large rustic commercial crops, with an emphasis on high alcohol Cabernet Sauvignon mostly for local consumption. In the last 20 years, Argentina has transformed its wine industry, the soupy, high alcohol wines aimed at local production gave way in the long recessionary years of the 1980s and 1990s to fine wines aimed at the foreign currency, overseas markets. This lead directly to a massive leap in quality. The first place to see this was Malbec wines. Reducing the crop, lavishing fine wine attention on the Malbec vineyards and vinification produced unexpected results, intense wines of great piercing fruit, fine tannins and with smooth multi-layered, complex notes on the palate. The kinds of Malbec only produced in occasional vintages in the best French vineyards were being produced annually in Argentina. Today, Malbec is so identified with Argentina and indeed as a perfect foil to Argentine beef that perhaps it is wise and fortuitous that the wines of Cahors do not place the grape varietal on their labels. The best Argentine Malbec from producers like Clos de La Siete, Dona Paula, Alta Vista, Cantena Zapata, Trapiche and Familia Zuccardi are not just great examples of Malbec they bring Malbec to the status of a great wine comparable in the finest examples to the other great New World rebirths of European grapes like Napa Cabernet Sauvignons, Australia’s Clare Valley Rieslings or New Zealand’s Sauvignon Blancs. As a wine they have surpassed and differentiated themselves from their French ancestor. Indeed in Malbec’s case there is even a growing physical difference, Argentine Malbec grapes being smaller and tighter clustered than their French cousins. Today Malbec is still standing in the shadow of Cabernet Sauvignon, Merlot, Shiraz and Pinot Noir. This is to the advantage of we wine lovers, because it means that Malbec is still largely undervalued, yet it is a wine with as illustrious a history as any of these grapes and today deserves our attention. The best of new, quality orientated Cahors produce elegant, more savoury Malbec wines at prices far below comparable red wines from nearby Bordeaux. While Argentine Malbec is now offering a fine, deep rich dark fruited, slightly spicy polished red alternative to increasingly pricy Californian and Australian Cabernet and Shiraz. Malbec is a grape whose pricing and quality in both New and Old world versions has fortuitously hit a peak when we the hard pressed wine lovers most need a exciting, well priced hero. At first sight, Burgundy and Oregon seem more than just half a world apart physically. Oregon sits high up in the Pacific North West of the Unites States of America, a former frontier colony founded on fur and pelts, Oregon is the very model of the Wild West. Oregon is a Pacific coast state, just north of California and the wine country of the central and Napa Valleys, in effect, extends northwards to Willamette Valley and the Dundee Hills where the best Oregon wine is made. It is also, crucially, on a latitude similar to that of Burgundy and it was perhaps this latitude and cooler climate that drew a few adventurous wine makers in the 1960s in the US, northwards, away from California to Oregon. David Lett, founder of Eyrie Vineyards, is regarded as the pioneer of serious wine in Oregon and the grape he wanted to begin with was Pinot Noir. 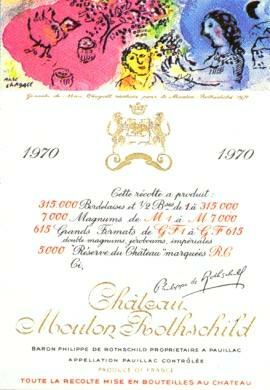 However, another winemaker had already had a look, Robert Drouhin, then head of the revered Burgundy House, Maison Joseph Drouhin, who visited in 1961. On his return in 1986, Robert Drouhin purchased 225 acres of the very best south facing slopes in the Dundee Hills region. The incline of those hills is similar to Burgundy, the climate is reasonably similar, but the underlying soils and rocks are very different. Oregon is full of basalt, volcanic material and more than a few meteorite craters, Burgundy by contrast is essentially limestone. Nevertheless Robert Drouhin and his daughter Veronique, just after graduating from the University of Dijon with a higher degree in Oenology, both saw something exciting and potentially world beating about the terroir of Oregon. Veronique Drouhin stayed and began working on a harvest with local winemakers and essentially never looked back from Oregon. This was hugely adventurous at the time and odd from a region that was considered to be falling behind modern standards and practices in the 1970s in the wine business, but Burgundy and cautious behaviour have served the region well and today, may be its saviour. In Burgundy, the hysteria and hype of super wines as a source of investment made barely a ripple. Only one winery even really featured in the sights of the financial behemoths who entered the wine market and decided it was ripe as a tradable commodity, a truly exotic investment vehicle. That was Domaine Romanee Conti, the problem there was that even this very well known and highly revered winery made so little that it was hard to build a market out of trading the tiny amounts that dribbled onto the world wine market. Of course another hugely crucial factor was that Robert Parker never seemed to take to or get, Burgundy. Parker scores on Burgundy wines have almost no impact, in Burgundy no one cared. Without Parker scores any sense of a market and fluctuating valuations so necessary to make a stock market, seemed to evaporate. In addition as the vineyards are all tiny and split up amongst dozens of owners, there has never been any monolithic harvesting as a result the large transport and wineries of Bordeaux and Tuscany, and the super-sized industrial cathedrals of wine in Australia and California have never been built. So the villages, most now UNESCO protected have never been altered and the roads are picture-postcard quaint meandering, stone walled delights in Burgundy. In addition because all the plots are relatively small, raising and ageing is deliberately small scale, even by major players. Many wineries and negociants revel in, reverse-snobbery, priding in just how ad hoc, and loose their operations are. Of course for the vast majority of Burgundy producers this is also a necessity, they are in reality small businesses, where half of the employees are sons, daughters and cousins. On the agricultural side it has meant being entirely resistant to anything that smacked of either flashiness, or expense or both. This has kept vast tracts of Burgundy organic and lightly mechanised in the cellar. In Burgundy, because the sizes of vineyards are so small, their ownership so complex and the quality so diverse certain families, mostly based in Beaune developed a secondary role of buying and bottling the wines of others, over time these family firms began to sell both their own wines and the bought wines together under their own name which became a brand. In order to maintain quality and consistency those families, now called negociants began to simply buy the grapes of others and actually make all the wine themselves. These firms were called negociant houses and it is largely thanks to them that Burgundy and it deliriously complex system of village names, communes and vineyard names, vineyard quality from Grand Cru to Premiere Cru to regular all became common place on wine shelves across the world. The most important negociants, mostly based in the wine capital of Burgundy Beaune are Maison Louis Latour, Maison Bouchard Pere et Fils, Maison Jadot, Maison Chanson and Maison Joseph Drouhin. Maison Drouhin is one of the youngest negociant houses founded in 1880 by Joseph Drouhin, the great grand-father of the three brothers and a sister that are the present fourth generation to run the business. The importance of Drouhin is that it owns more than half of the vineyards and wine that it sells under its name and controls through close and lengthy contracts the rest of the vineyards it uses. Drouhin is therefore one of the largest owners of Burgundy’s Grand Cru and Premiere Cru land. What they do and what style of approach they adopted became hugely influential on their neighbours. It is fortunate then that very early on in the wine renaissance of the 20th century Drouhin opted for quality over every other consideration. Under the leadership of the father of the present generation, Paul Drouhin from the 1950s to today their entire land portfolio was switched to biodynamic farming, up to and including the use of horse drawn ploughing as it does not compact the soils like tractors and other mechanical devices. 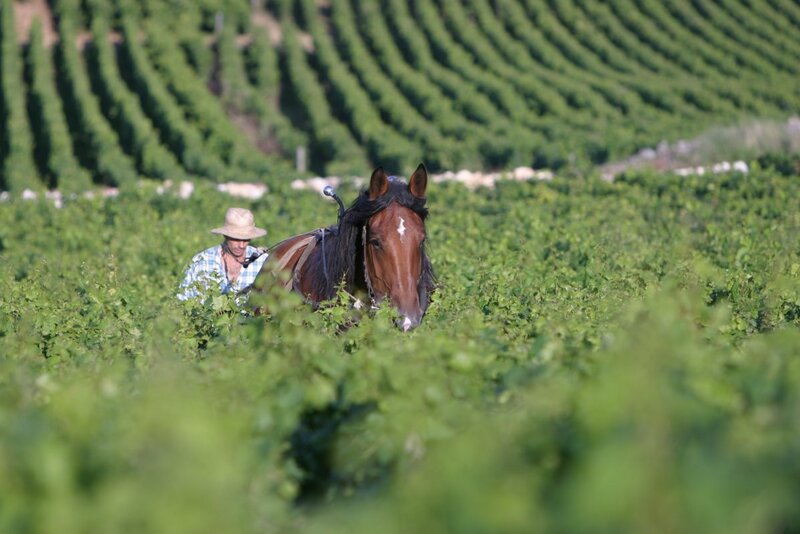 Today all Drouhin wines are organically farmed, all self owned vineyards are biodynamic. The three Drouhin brothers are Frederic, Philippe and Laurent, and their sister Veronique have all allocated roles, Veronique is the oenologist, Frederic the president directing the board, Philippe the vineyard manager and biodynamic disciple, Laurent their man in the US, living in New York. Veronique as oenologist directs a team of winemakers across Burgundy, but is solely responsible for the winemaking at the Drouhin US winery, Domaine Drouhin Oregon. “ I fly back and forth between Oregon and Burgundy, it works well however because we have such an experienced team.” Says Veronique Drouhin. “Being a woman has never been an issue, even in somewhere as traditional as Burgundy. 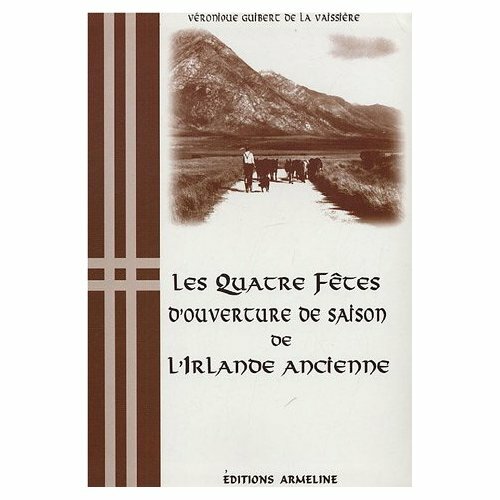 This again is also due to my father who was amongst the first people in the French wine business to employ as a senior oenologist a woman, Laurence Jobard.” Says Veronique. Veronique’s father Robert was an innovator and slightly maverick throughout his entire tenure at Drouhin where he stepped down in 2003, though he is still chairman. Apart from breaking up the masculine world of Burgundy farming with a woman, he also, pushed Burgundy Biodynamic, made it fashionable to own directly the majority of your vineyards, drove serious winemakers into Beaujolais as a high quality aspect of Burgundy wines, re-embraced Chablis which had been abandoned to generics in the 1950s and of course bought and set up a winery in America. 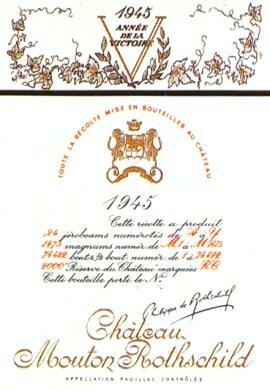 All this marked Robert Drouhin as one of wine’s most important forces. Of course many of these innovations saw Burgundy shy away from advances of modern, scientific, chemical or industrial winemaking. To some this was Burgundy being left behind. Also in scale deciding not to build up single dominant companies but to maintain the complex old fashioned family structures looked like antique business thinking too. Add horse and organic manure and you can see why many go ahead regions looked aghast at Burgundy and feared for its commercial future. Well the future is now and today, agile, debt free, organic, family run Burgundy looks very, very attractive. So far behind, they’re in front. -This is the Drouhin entry level white wine, it is a cross regional blend with a crisp, lemon driven wash, hints of golden apple sweetness initially then a Macon like light nut aspect mid palate and a shorter finish. Maison Drouhin, Chablis 2007 (89) around €20.69. -The Drouhin entry level Chablis is very austere and steely, but quite aromatic. The willowy grassy and lime touches are very attractive the core of minerality very prominent on what is their populist Chablis offering. Accomplished, uncompromising wine. -While the regular entry level Drouhin white wine has a feel of Macon about it in the lime and steel wash, it is made by the apple sweetness, but here there is only the lime and steel, surrounded by vigorous acidity. -This is where Drouhin excels, in slightly left field and more competitively priced appellations. This is a gorgeously perfumed white, the chardonnay here is dense and heathery, honey like with touches of nut specifically crushed almonds, the finish has succulence but also firm acidity. It has the hints of a Puligny Montrachet but at a fraction of the price. Farming is biodynamic, horses, natural predators and hand picking in tiny baskets. -One of the most familiar sights on Irish wine lists and shelves, it is still the benchmark for great Beaujolais. The violet perfumed notes of the nose are replicated in the pink, light purple colour of the wine. The damson and raspberry like wash is clean and medium bodied the finish, meatier and more grippy than expected, cutting and complimentary with food. Again all hand harvested and traditional in its construction. -At just three years old this is still an infant, it is a wine all about the word finesse, meaning restraint and balance. Nothing jumps out, the cherry, kir, raspberry tones of this red wine simply grow on the palate giving way to chocolate and mushroom with time. With age these fuller flavours will build. The persistence, the length of time the taste stays with you after you taste the wine is immense. 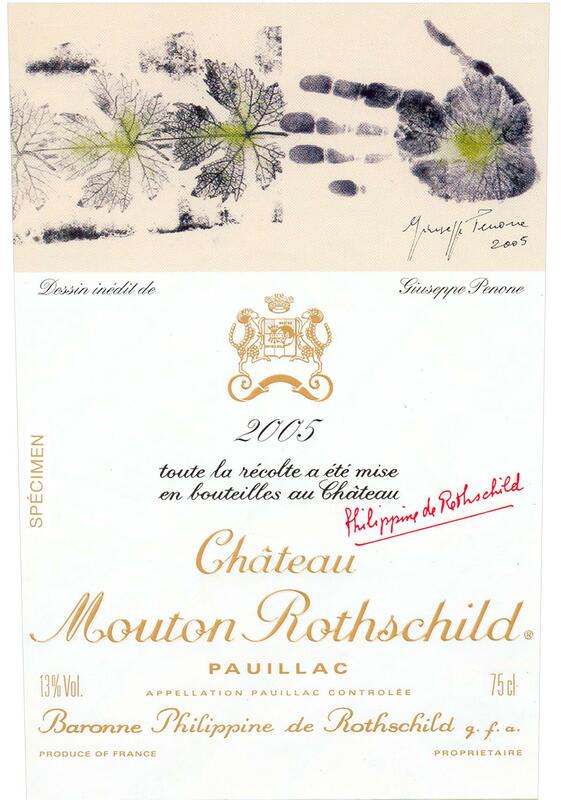 The price however reflects this complexity and the expensive nature of the vineyards and lavish care of the grapes. -This is Veronique’s own unique project. The Oregon winery is her and her family’s home. We do not see them here in Ireland but Veronique makes three reserve wines here named after each of her children that are highly prized and priced in the US market. This is very expensive wine and just the kind to suffer at present, but it is also very fine wine. The deep darker colour is brooding, but the wash is light and energetic, raspberry and maraschino cherry with a spicy streak and meaty tannin. The fact that it would be a €100 Burgundy Grand Cru is the key to its price.